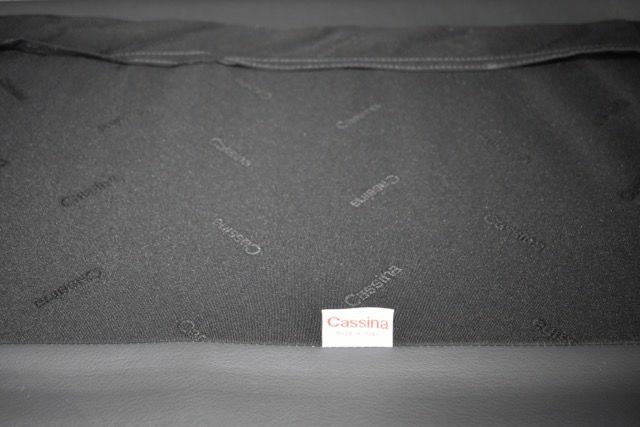 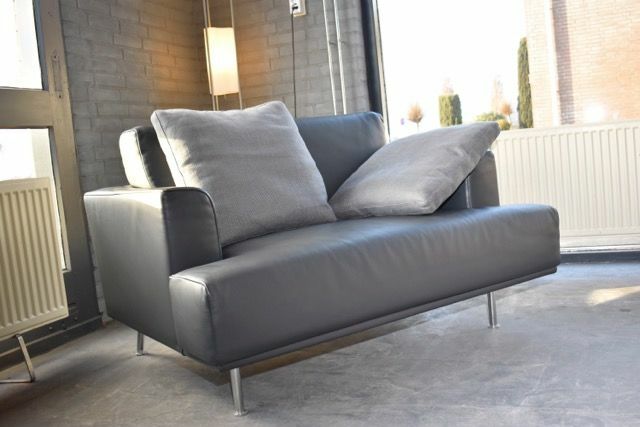 Cassina love seat, part of this elegant and sober range of sofas and seating elements; three different sofa sizes, a love seat, bench and ottoman. 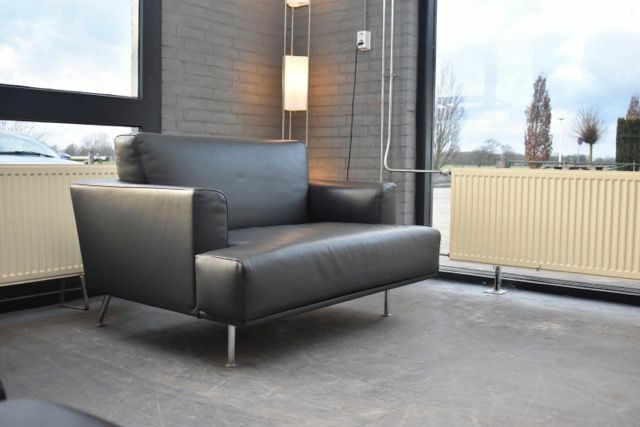 A design conceived to allow all possible uses, traditional or relaxed, combining both requirements at a time. 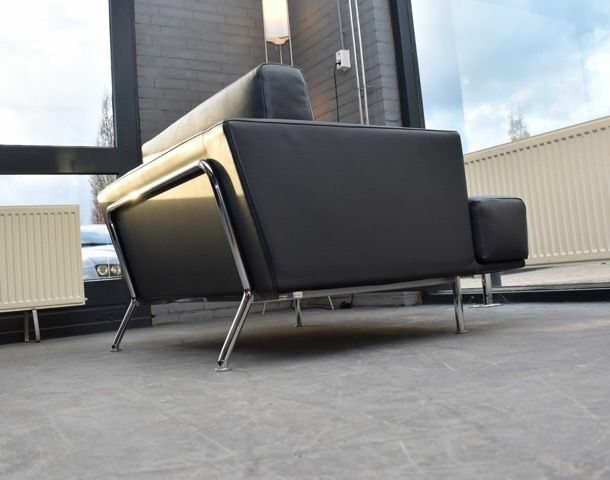 Visible frame made of aluminium-grey lacquered steel, or chrome plated against an upcharge. 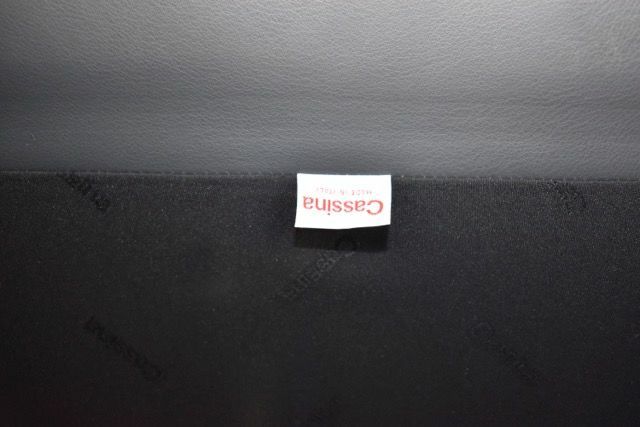 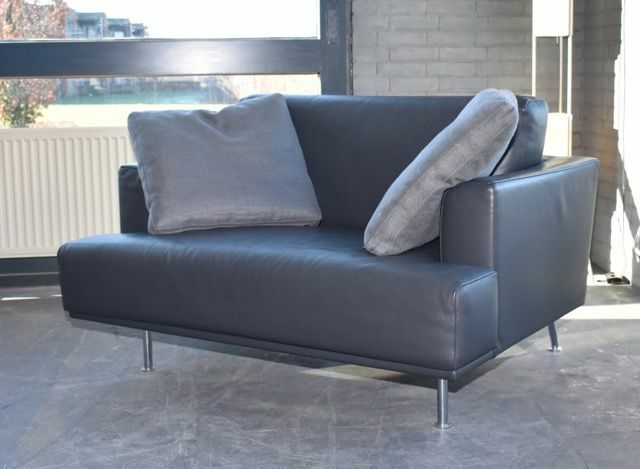 Multiplywood internal frame, upholstery in CFC-free polyurethane foam and polyester padding. 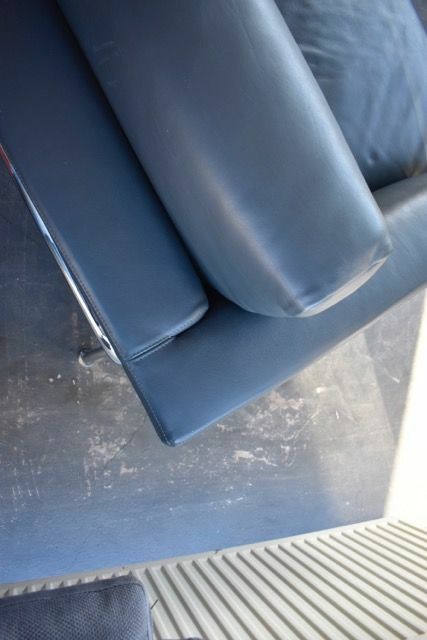 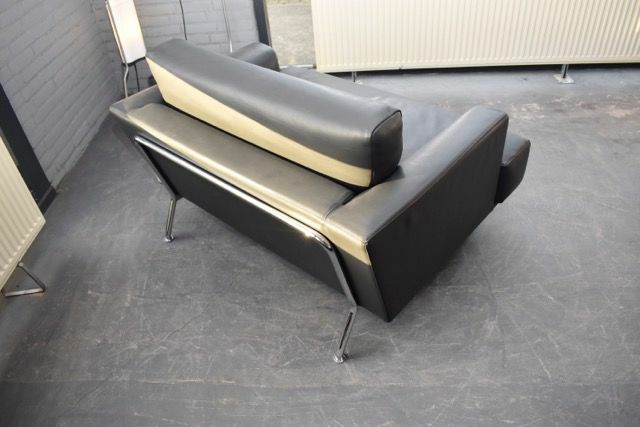 Large, loose seat and back cushions. 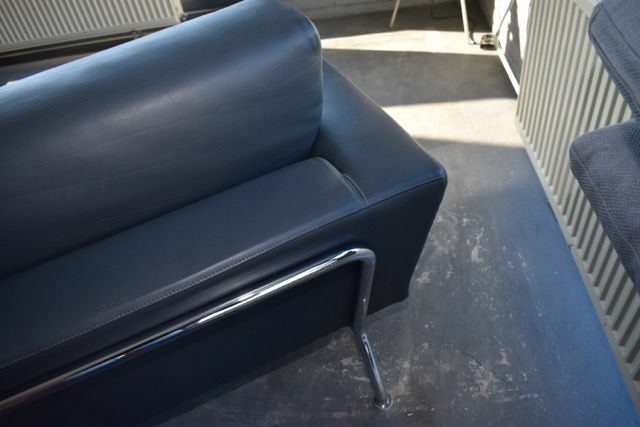 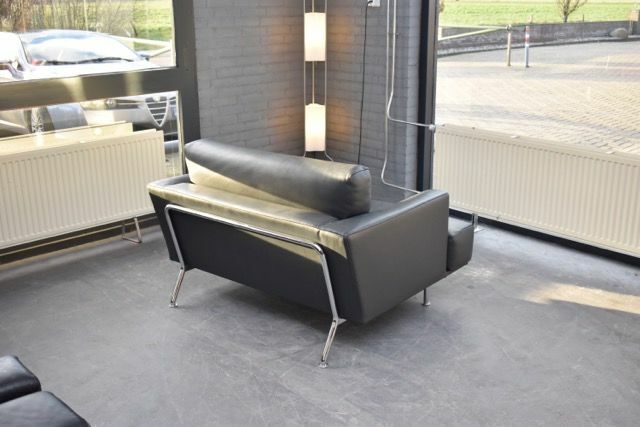 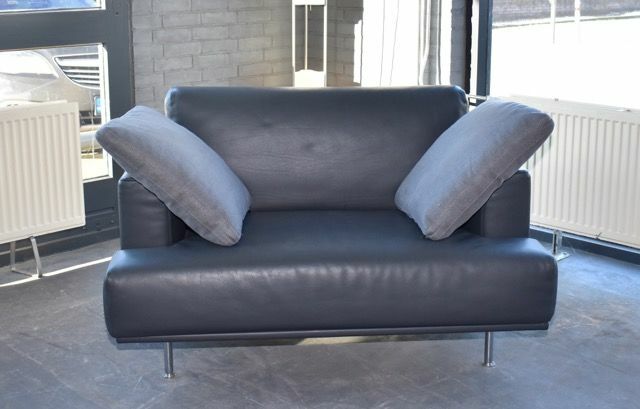 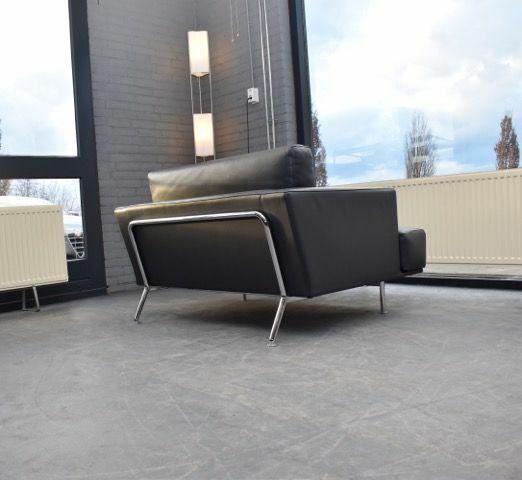 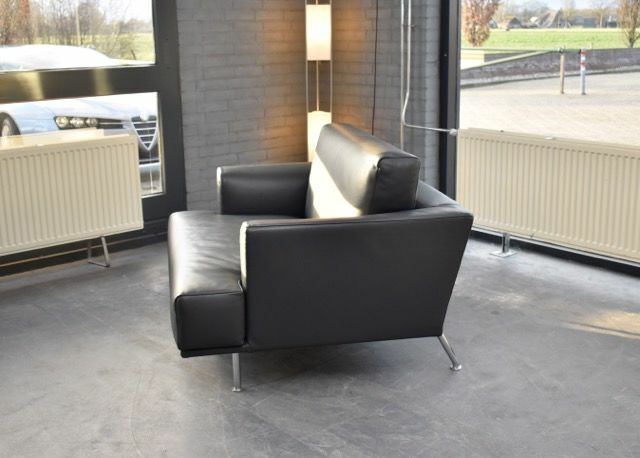 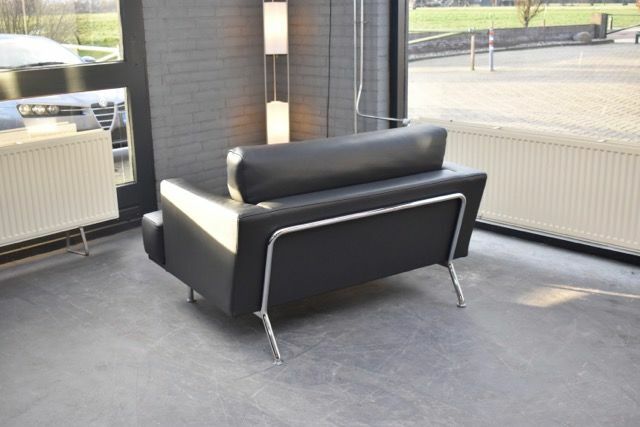 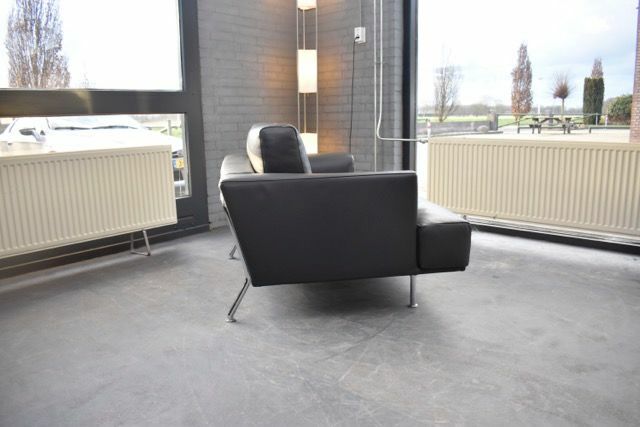 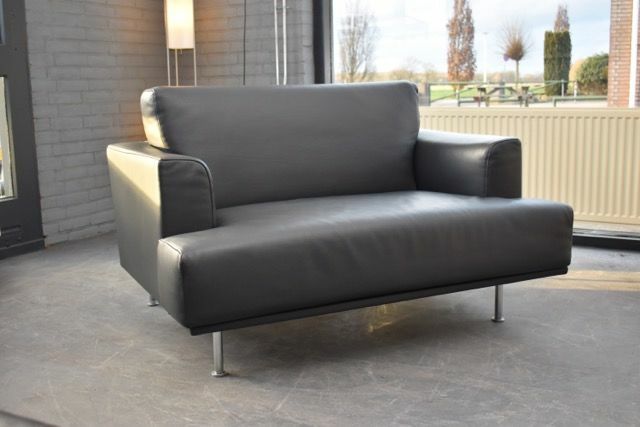 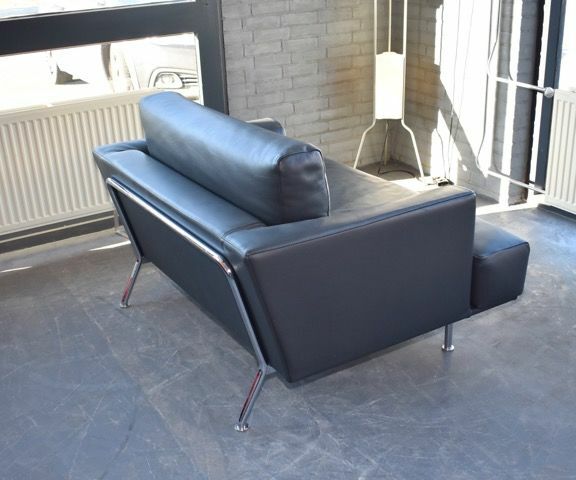 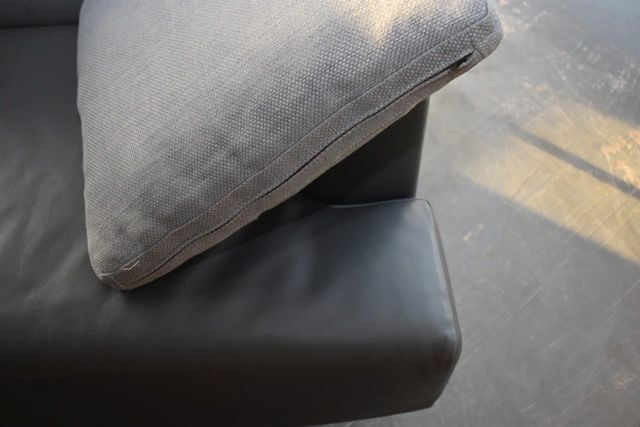 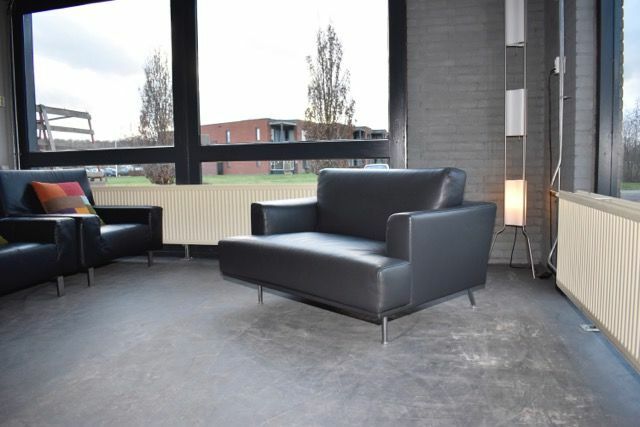 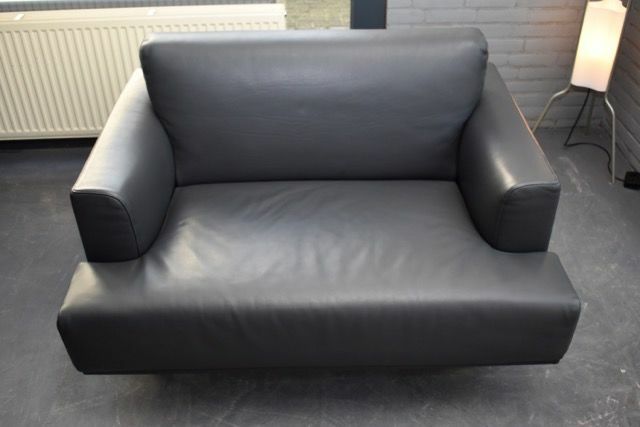 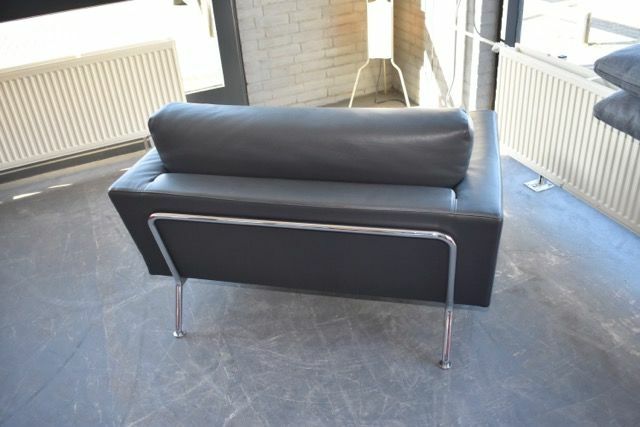 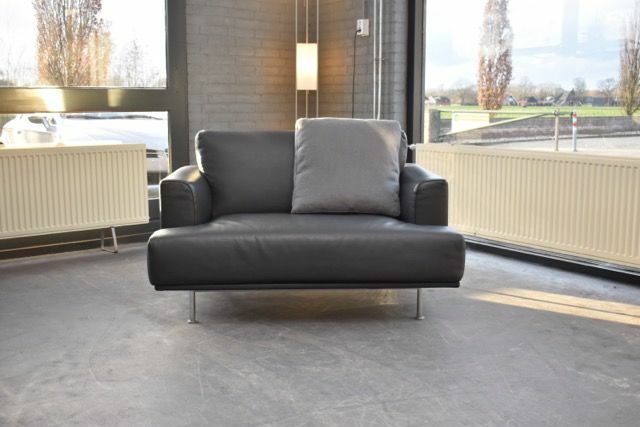 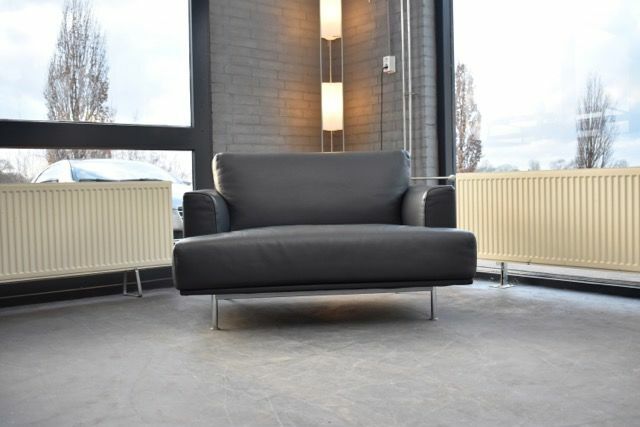 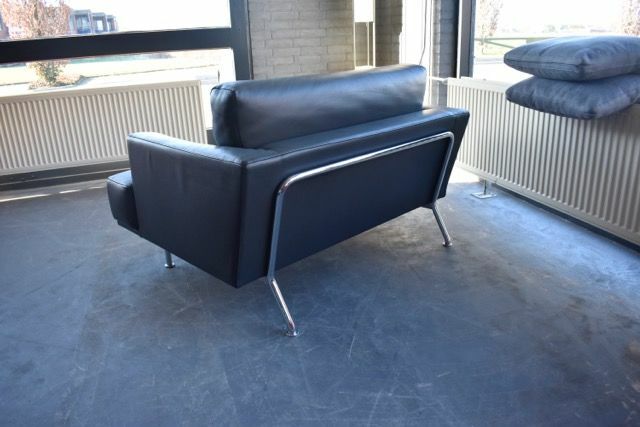 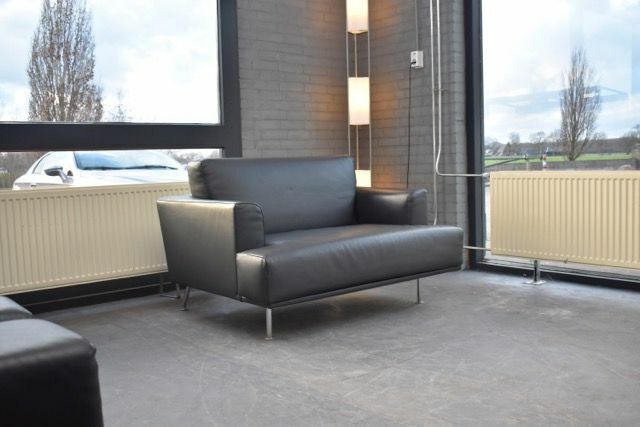 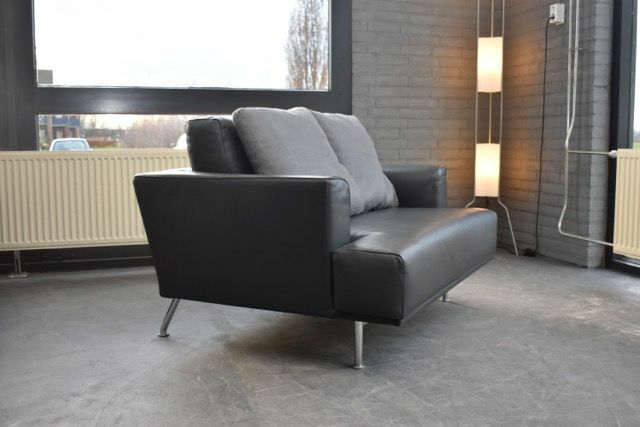 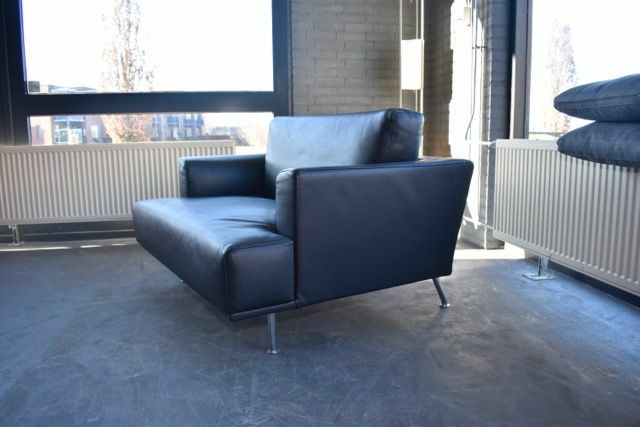 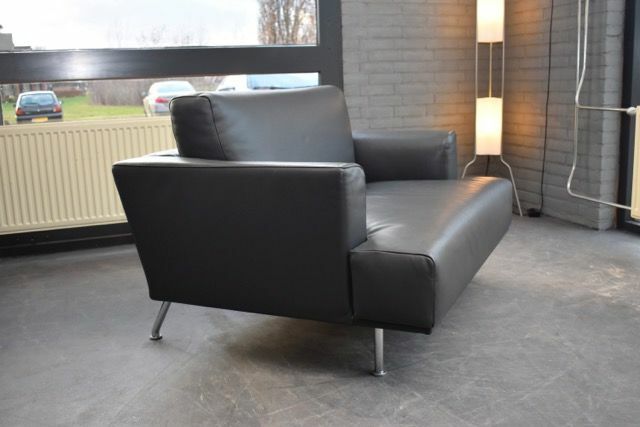 Upholstered in either leather or fabric with completely removable covers.